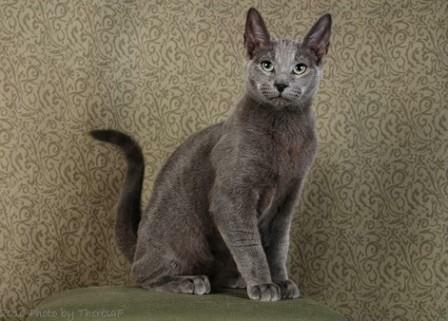 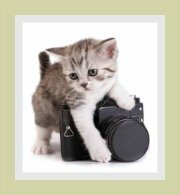 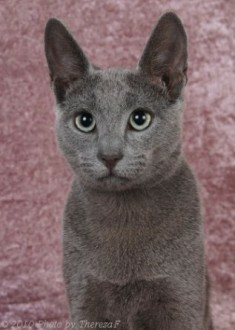 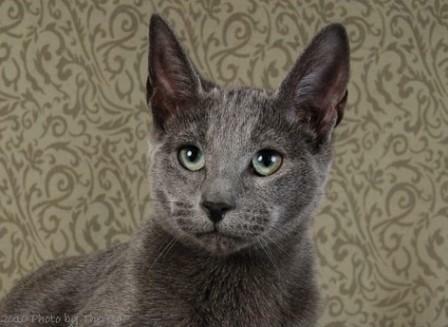 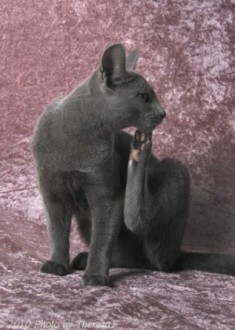 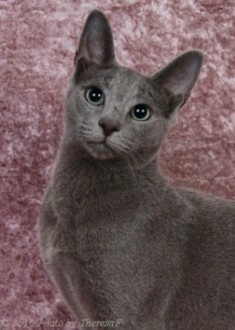 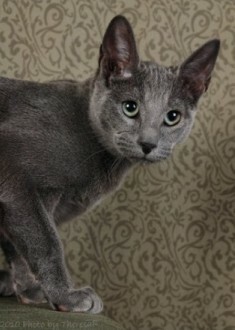 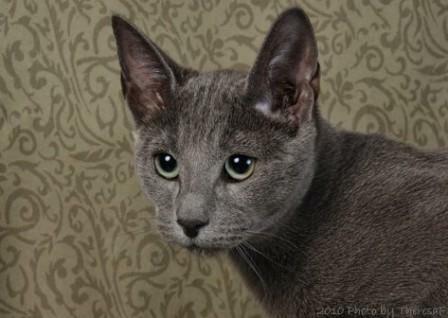 The stunning Russian Blue cat pictures below showcase images of one of the three natural occurring blue domestic cat breeds. 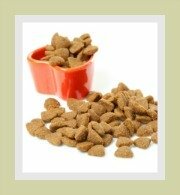 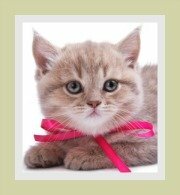 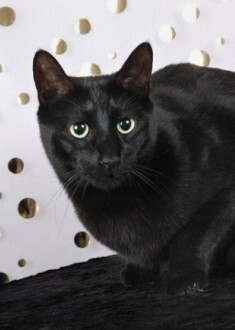 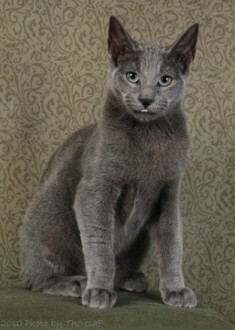 These cats are characterized by their magnificent double coats and emerald green eyes. 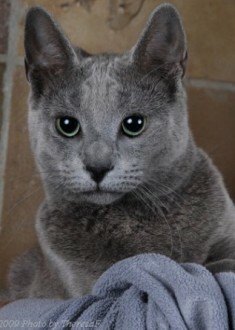 It should be noted that there are some differences between the Russian Blue breed standard (features and characteristics) in the United States and the United Kingdom. 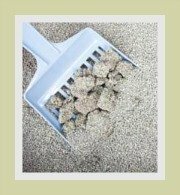 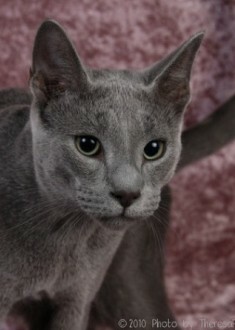 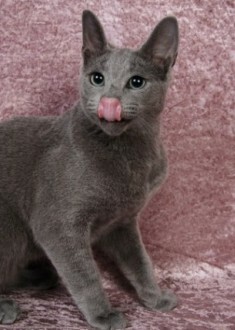 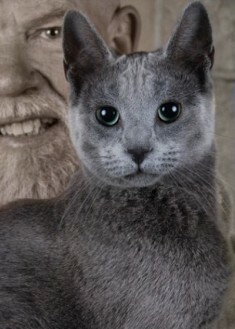 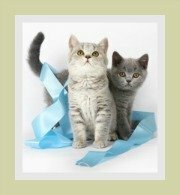 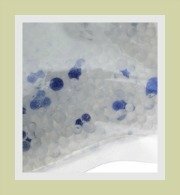 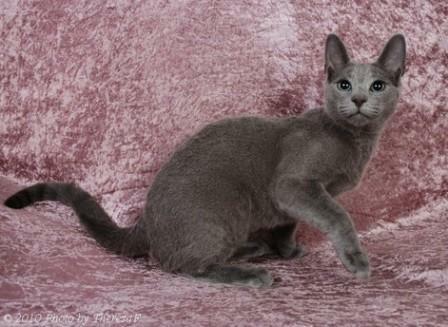 The Russian Blue cat profile provides an in depth review about the breed characteristics, the cat's personality, health concerns, dietary requirements and nice-to-know info for potential owners. 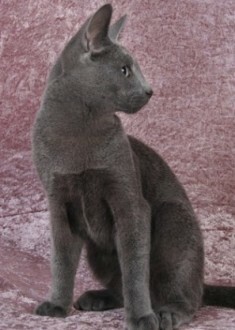 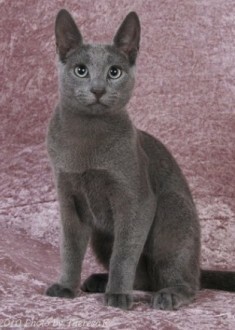 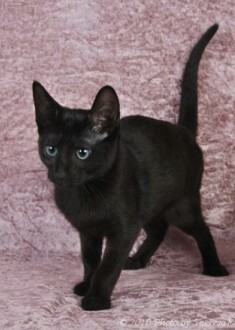 As their name implies, this is a blue-coated cat, but breeders have introduced Black and White Russian cats (known as Russian Shorthairs), but they are rare and not accepted by all cat registries.